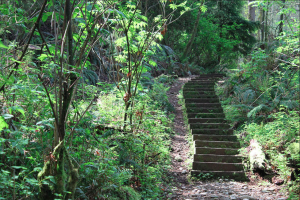 Burnaby Mountain is home to Simon Fraser University, but did you also know about all of the beautiful hiking trails? The trails are considered beginner level but I wouldn’t wear flip flops as they take about 3 hours to complete. A round trip measures at 7.5km. Not only is the hike breath-taking but the views are too! 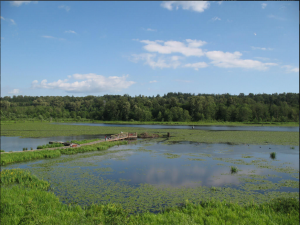 Did you know that Burnaby lake is the largest lake in the lower mainland? With a large eco system and great views it is a wonderful choice for your afternoon stroll. This park is also a perfect walk for you and your furry friend as dogs are always allowed. A 10k trip around the park takes about two hours, and best of all, no hills! Burnaby has many beautiful lakes, while Burnaby lake is the biggest, Deer lake is definitely the most picturesque. This gorgeous lake sits in a park located in the heart of Burnaby and is a main trail for locals. 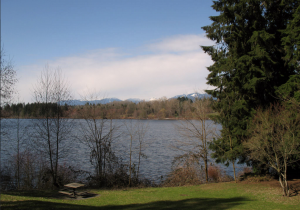 With a pier, viewing area of the lake, and great walking trails; Deer Lake is a great spot. A trip around the lake is 5km and takes an hour, however it may take longer, if you want to just sit and take in the beautiful surroundings of the lake. Velodrome trail also known as “Burnaby’s Grind” and is a great trail for intermediate level hikers. The trail is 3km and has 500 wooden steps. Velodrome trail is a great summer activity or a substitute for the gym as it is a leg burner! 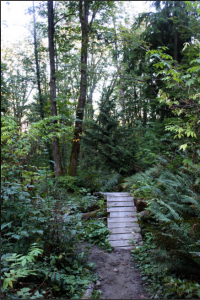 This trail is one of the longest trails in the lower mainland, consisting of 25km. However, you can do smaller parts of the trail if you don’t feel up to the full loop. It might have a silly-sounding name but this is a serious workout. 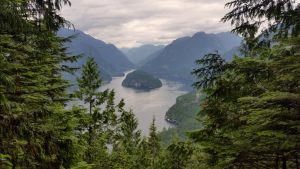 This hike is known for its amazing views of BC’s scenery.